2ND ASSEMBLY DISTRICT – Assemblymember Wesley Chesbro announced Sept. 5 that he will seek re-election to the State Assembly in the new North Coast District 2. 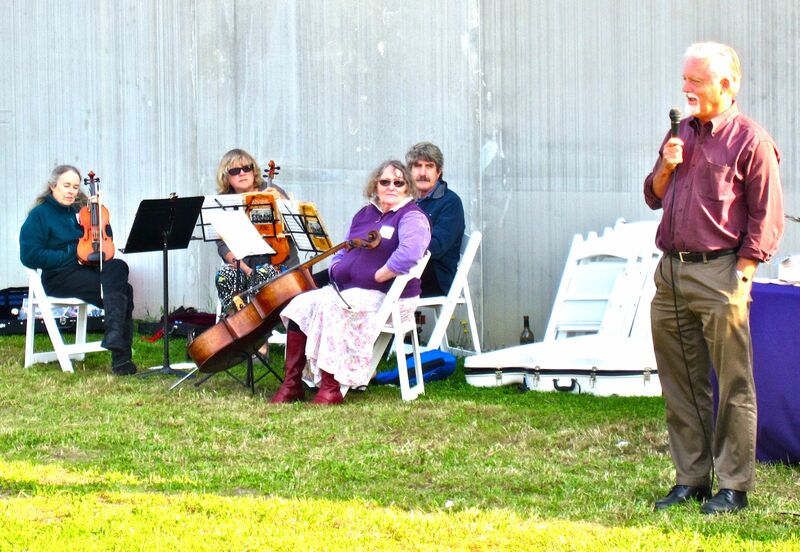 At an outdoor Saturday fundraiser at Cypress Grove Chevre’s Q Street manufacturing facility, supporters savored the company’s famed goat cheese along with salmon, fruit, bread and wine. With attendees softened into suggestibility by the abundant delicacies, seasoned pol Chesbro both worked the tables and delivered his message in an address. This year the California Redistricting Commission redrew the state’s political districts for the Assembly, State Senate and Congress. The new 2nd Assembly District is close to the current 1st Assembly District, encompassing the North Coast counties of Del Norte, Humboldt and Mendocino, plus Trinity County and a portion of Sonoma County. The new Assembly districts take effect for the 2012 election. Chesbro has represented the North Coast in the 1st Assembly District since 2008. Previously, Chesbro represented the North Coast in the State Senate from 1998 to 2006. He served on the Arcata City Council from 1974 to 1980. This entry was posted on Tuesday, September 20th, 2011 at 8:24 am	and is filed under News. You can follow any responses to this entry through the RSS 2.0 feed.